This is my entry for the Make-up contest: Simple Logo on Animepaper.net . So, all that is required of the contest is the 'logo' of SM. Any kind so I have chosen the American version. I went for more of a simple wall with this but I wanted to make sure it had good color. So, that's mainly what I worked on. Working with the scan and working with the logo. Which was harder to work then I thought but all in all. Things turned out already and I just love the scan. It really tells the 'real' Sailor Moon. An oddly enough, I used a fellow Make-up Contest continents scan from the AP gallery. So, thanks °mirtillo for the great scan! I so love it! Fell in love with it a first site! Kept a hold of this scan for a while. Until I figured out what to use it for/with. Background design came from stock.xchng and added in a texture I believe I found in a google search. Also used a brush from DA. So, all credit goes to them/that person. So, thanks! I love how it turned out. Simple and clean and kinda fun. 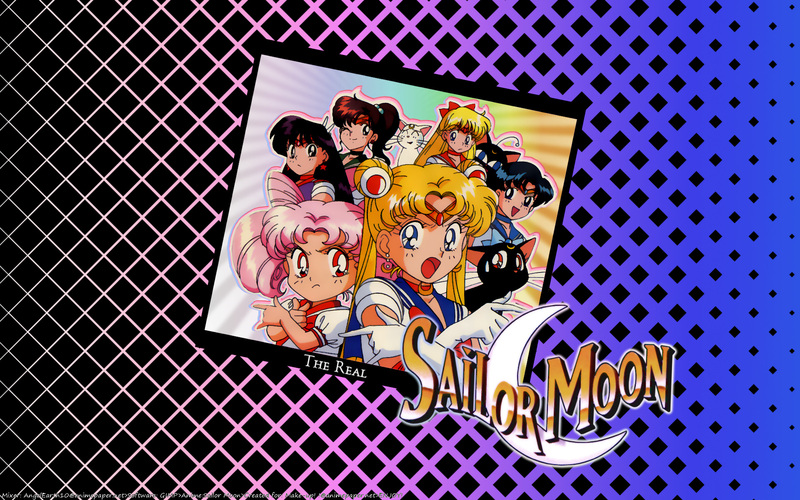 So, I hope you enjoy 'The Real Sailor Moon'. Special thanks to God/Jesus/Holy Spirit!